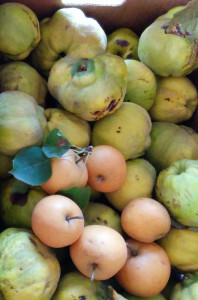 Quince is one of those fruits we look forward to all year long. 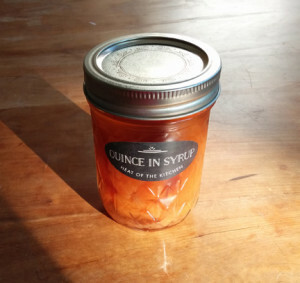 Now you can get your own jar of Quince poached in Vanilla Syrup and help our program raise funds for our new classroom. 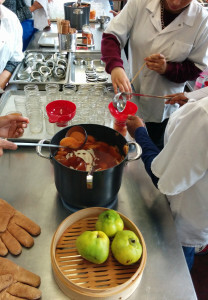 Below you’ll find a quick slideshow telling our Quince canning story from last October which wouldn’t have happened without BiRite’s Shakirah Simley, who knew a generous owner of quince tree in the North Bay, a tree that needed serious harvesting. Thank you both so much! 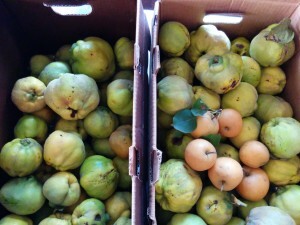 Please stop by BiRite Market one of the next few afternoons and buy some quince from us! 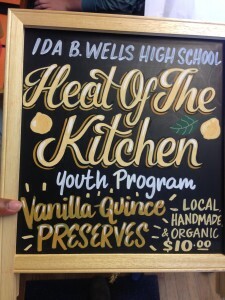 We will be out front eager to give you a taste, and hopefully coax you into becoming a fan of quince too. See you there! 3- 5 or 6pm, until we sell out! 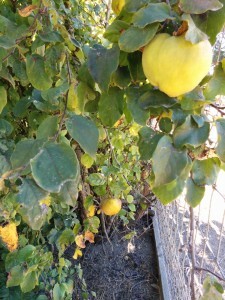 October 2014: A Quince tree heavy with fruit! Back in the classroom, the students were amazed at the bounty. The Asian Pears were the perfect snack! Super sweet & Juicy. 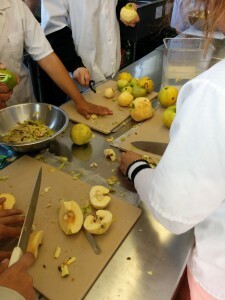 The students went right to work, peeling, coring and slicing the fruit. Hard work. 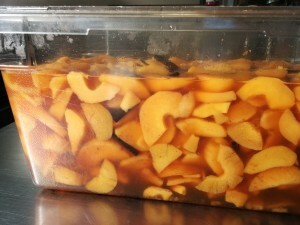 Slices of quince after being poached in sugar syrup and vanilla bean. 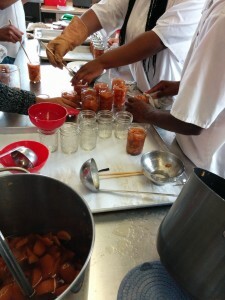 A few days later, Shakirah joined us, guiding students on professional canning techniques. Students really do love challenges, even with hot jars, sticky syrup and time pressure. 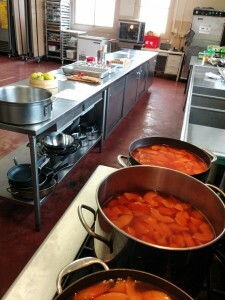 The wonderful sounds of canning! Clinking jars & Pinging lids. 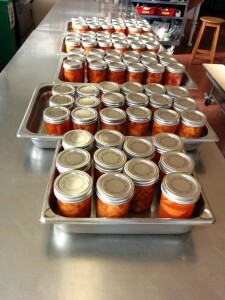 Look all these jars, out of their hot water canning bath! Our final product, ready for you. Thank you BiRite and Naomi for making this opportunity happen! ← Rain Dance Garden Work Party!